Accounting for approximately 3% of cancer cases nationwide, the symptoms of head and neck cancer are particularly uncomfortable. Head and neck cancer refers to tumors that develop around the throat, larynx, nose, sinus and mouth. As these areas support vital bodily functions, such as eating and breathing, the symptoms can often be disruptive. The most common symptoms are swelling and open sores in affected areas. Other symptoms may include difficulty breathing, jaw pain, loosening of the teeth, double vision or persistent nose bleeds. These types of cancers can result in difficulty chewing or swallowing. In addition to painful and troublesome symptoms, head and neck cancers may also influence the development of mental health disorders. 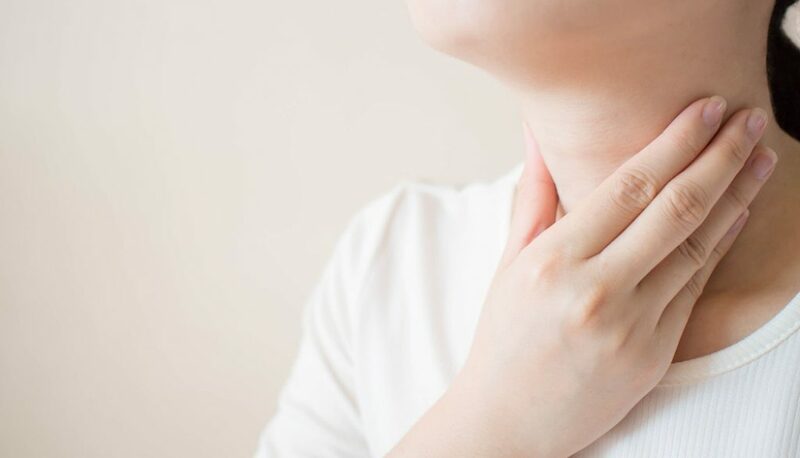 In a 2019 study of over 50,000 patients, researchers at the Pennsylvania State University College of Medicine identified a link between the prevalence of mental health disorders and head and neck cancer. Previous studies have made a connection between mental disorders and head and neck cancers, but this is the first study to conduct a large-scale analysis of the possible link between the two. Using records from 2005 to 2014, the research team found that the prevalence of mental health disorders rose from 20.6% to 29.9% after the diagnosis. While a head and neck cancer diagnosis appeared to be specifically associated with mental health disorders, there were several other factors which put a patient at higher risk. It was established that patients were even more likely to develop a mental health disorder if they were women, or had a history of smoking or alcohol use. Despite the patient demographics and behaviors influencing the likelihood of mental health disorders, the type of head and neck cancer also played a role. Oral cavity cancers made up over 40% of the cases studied, yet patients with cancer of the trachea were found to be at a higher risk. Patients diagnosed with cancer of the trachea were twice as likely to develop mental health disorders as patients with oral cavity cancers. These findings are unable to suggest interventions to decrease the percentage of mental health disorders developed, however, they do provide insight as to the importance of addressing psychosocial needs in routine treatment discussions. While there are no known recommendations for patients to prevent the development of a mental health disorder, there are preventable risk factors for head and neck cancers. Over 80% of head and neck cancers are linked to tobacco usage. Reducing tobacco use of any kind is the best way to prevent the development of head and neck cancer. It has also been found that a poor diet and alcohol consumption may be other common risk factors. A poor diet low in vitamins A and B can increase a person’s risk of head and neck cancer. Individuals that use tobacco or consume alcohol are encouraged to undergo a general health screening each year. This is a simple screening where a doctor examines the nose, mouth, throat and neck for any abnormities or lumps. It is also recommended tobacco users and non-tobacco users schedule regular dental check-ups. A diagnosis of a mental health disorder may be uncontrollable, but it is possible to take preventative steps and identify head and neck cancers in an early stage. To learn more about the head and neck cancer research funded by the National Foundation for Cancer Research, please visit this link.